Yamaha have just released a new line of Yamaha 4 stroke outboard motors that provide high performance in packages designed to be the lightest outboards in the 225 to 300hp classes. The F300B/250D/F225F models achieve class-leading performance, lightness and compactness. Various Yamaha Motor technologies were incorporated to give good fuel economy, convenience, and environmental friendliness. Check out the details here. Also new in Yamaha’s mid-range, the F70 offers advanced features and technology making it extremely light yet very powerful. It is the ideal outboard motor for a myriad of lightweight fishing boats and ribs. More details can be found here. Outdoor World is the exclusive Yamaha dealer in Antigua and Barbuda and as such not only has outboard motors available in store but along with its team of technicians, lead by Rudolph Williams (who has over 20 years of experience with the Yamaha brand) offers full service and installation on all products sold. Our technicians continually receive the necessary training, certification and all specialty tools required to do the necessary maintenance and service for the entire Yamaha brand. We work from our workshop on Old Parham Road or can arrange dock calls. With our bonded facility in place we offer competitive pricing to the yachting customer. 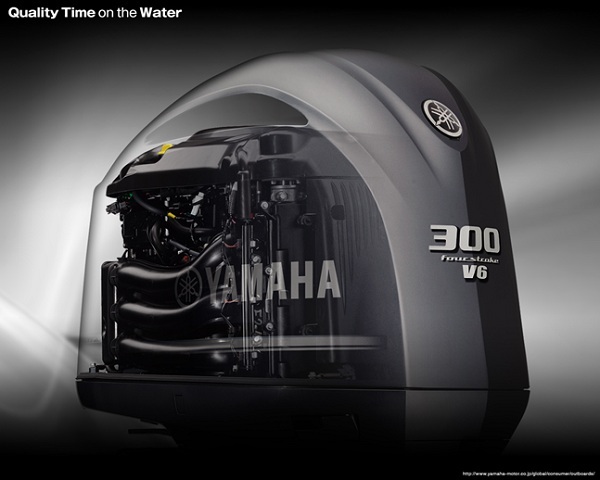 Please call us for quote for a specific outboard motor or any Yamaha product. Outdoor World Limited is a limited liability company established in Antigua & Barbuda in November 2007 on the island of Antigua and Barbuda when it acquired the Yamaha Dealership. Outdoor World Limited specializes in the retail sales of new Yamaha outboard engines, generators, water pumps, motorbikes, all terrain vehicles and water vehicles. Additionally they sell Yamaha parts and accessories and offer maintenance and repair service by authorized Yamaha technicians. They are also the exclusive dealership for other premium marine boating brands such as Eduardono, Edgewater Power Boats, Grady White, Caribe Inflatables and Flexboats.